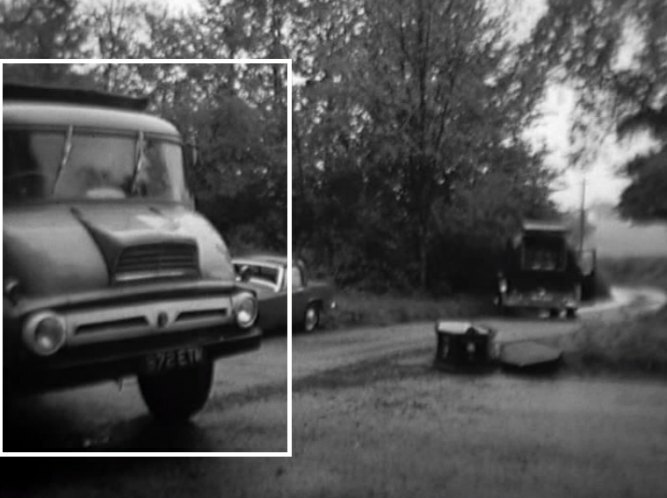 IMCDb.org: 1961 Thames Trader MkI in "Adam Adamant Lives!, 1966-1967"
Ddey65 wrote Thames of some kind. 123 ETM series was 1961. 123 ETW was 55-56 so too early for a Trader.